Turbomed FS3000 AFO exclusively distributed by TalarMade Ltd in UK and Ireland. The TurboMed FS3000 AFO is a revolutionary new treatment option for drop foot. 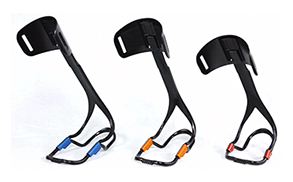 It’s unique patented design acts as an exoskeleton to the impaired limb and provides the user with unparalleled levels of function without discomfort or rubbing. Please visit the TalarMade store for more information about the TurboMed FS3000 product.